Join us for our much anticipated monthly brunches. Reservations required, please call 413-538-2217. 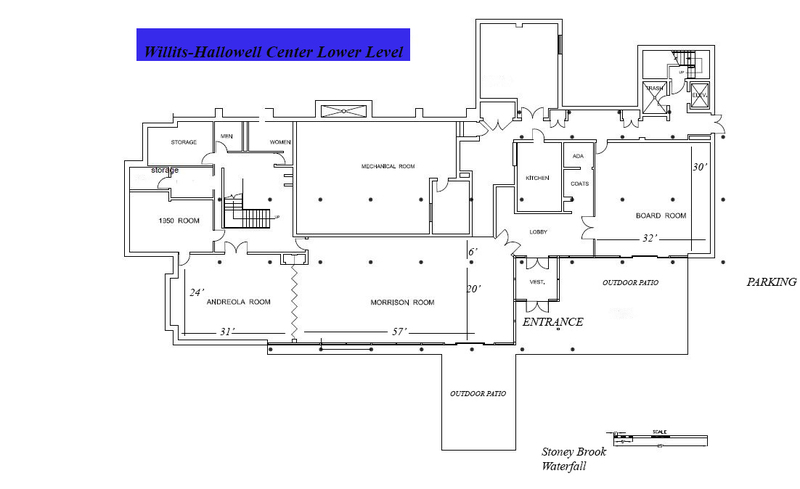 The Willits-Hallowell Conference Center & Hotel is a year-round, full-service conference and banquet facility, with 20 hotel rooms, free parking, private upscale dining facilities, and a variety of meeting rooms located in Western Massachusetts. 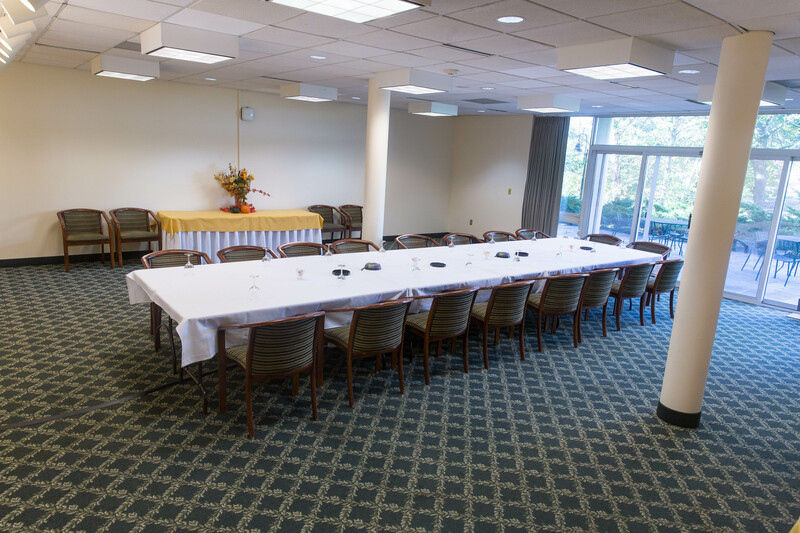 The conference center offers flexible rooms of varying sizes from the Smith Dining Room which seats 96 to the Morrison/Andreola Room which can accommodate 175. 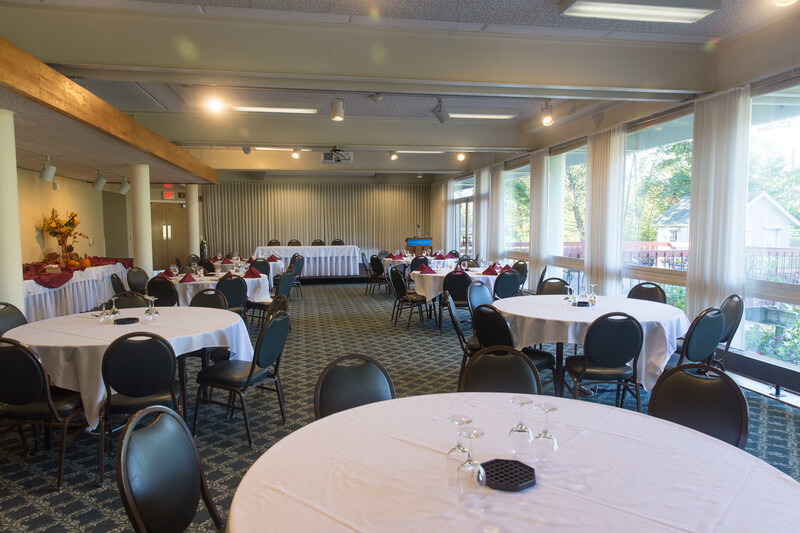 The venue is ideal for retreats, small conferences, wedding receptions, social gatherings or as an additional space for your summer conference. Our location in the Pioneer Valley is an easy commute from Hartford, Springfield, and Vermont. 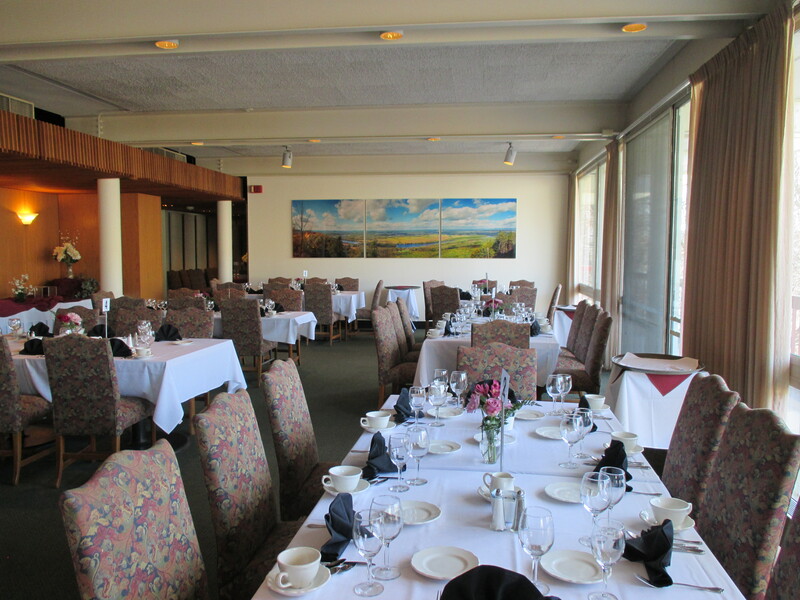 Smith dining overlooks the lower lake. It is adjacent to the living room. This space is ideal for social events. This intimate room has photos of Mount Holyoke College in its early years. 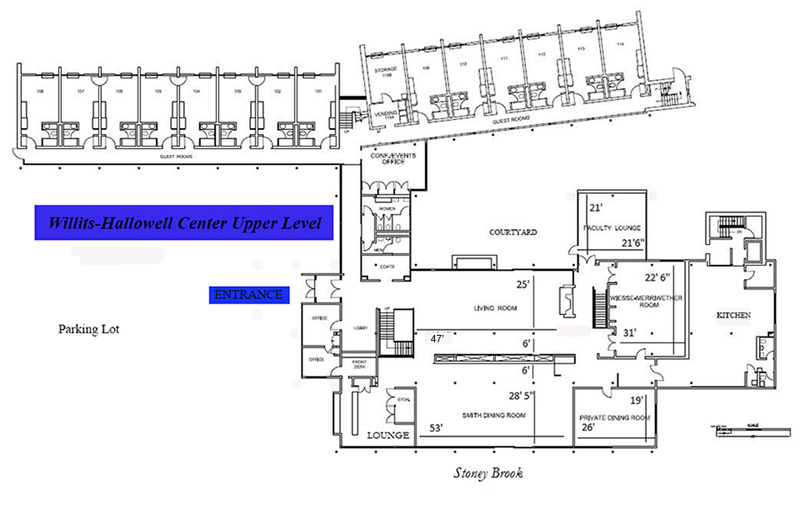 Available for small meetings, social events, or break-out space. This room is connected to the Weise-Merriwether room. There is access directly to the courtyard and patio area with seating. 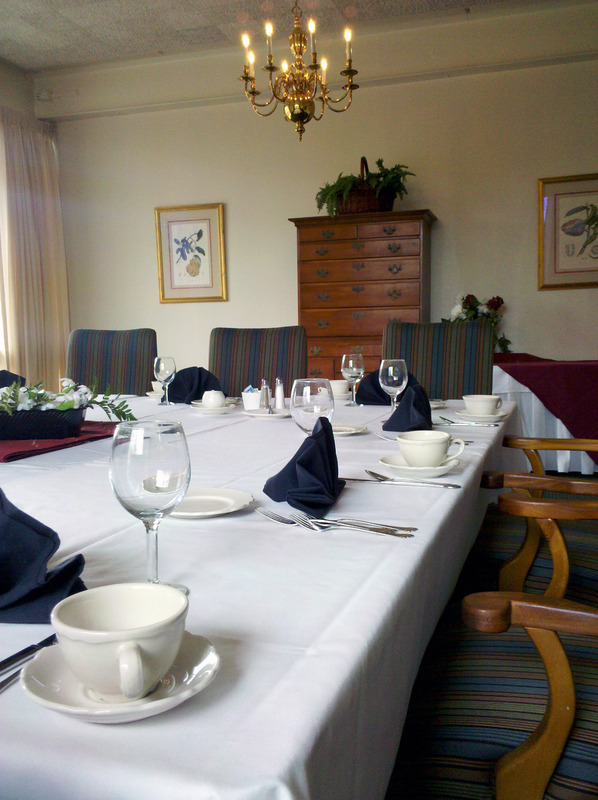 Perfect for small meetings and social events or as a break-out room. 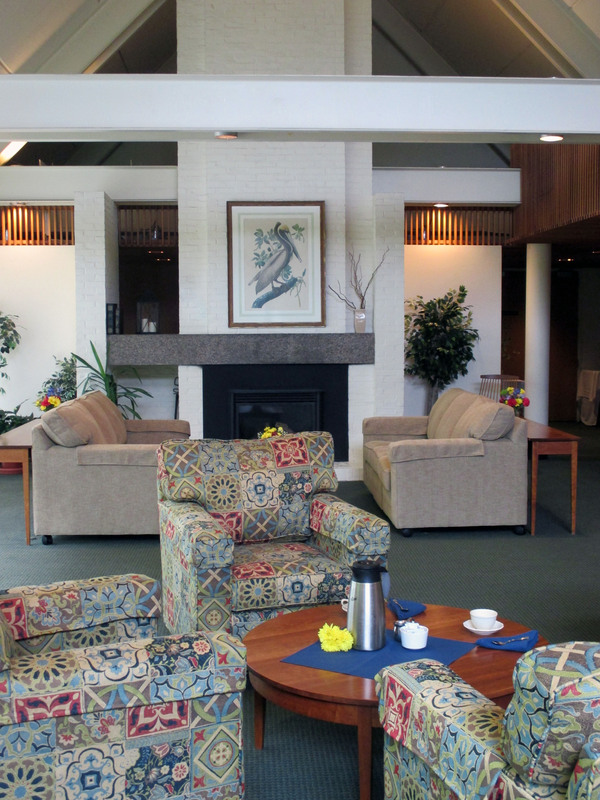 A piano is available, as well as a gas fireplace, comfortable lounge seating, and access to the courtyard and patio area with seating. This space can comfortably seat up to 18. 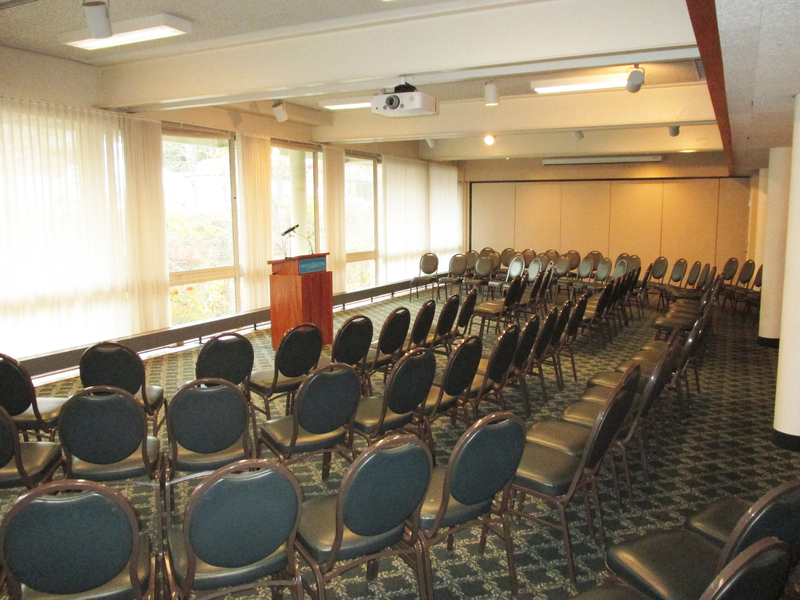 This room offers ample natural light, chandelier fixtures, large comfortable chairs, and views of Stony Brook waterfall. This room can be used in a many different configurations. 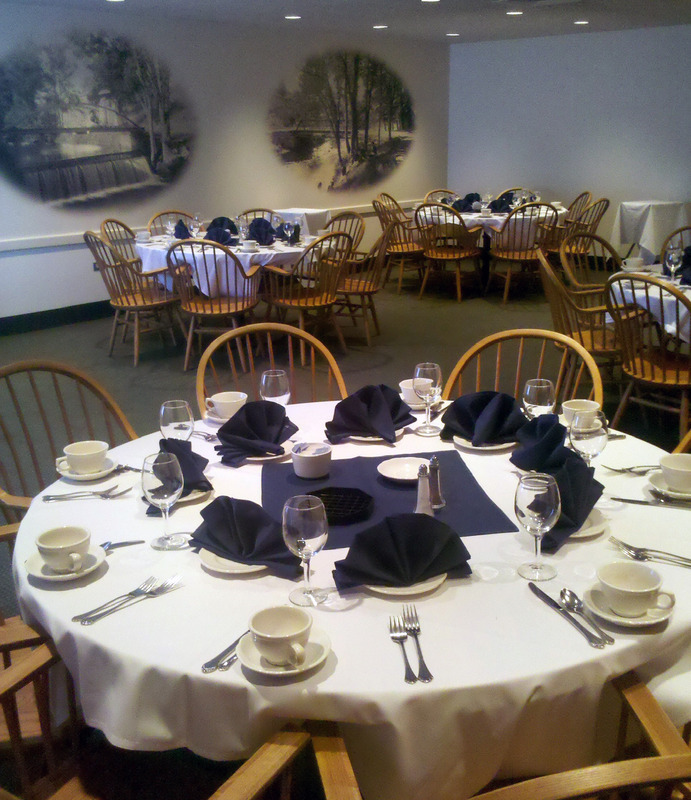 It is ideal for lectures and banquets, and has its own patio overlooking Stony Brook. Built in sound system, screen and projector. This room is ideal for small meetings, or as a breakout space. An airwall can be opened between the two rooms to allow for greater space. 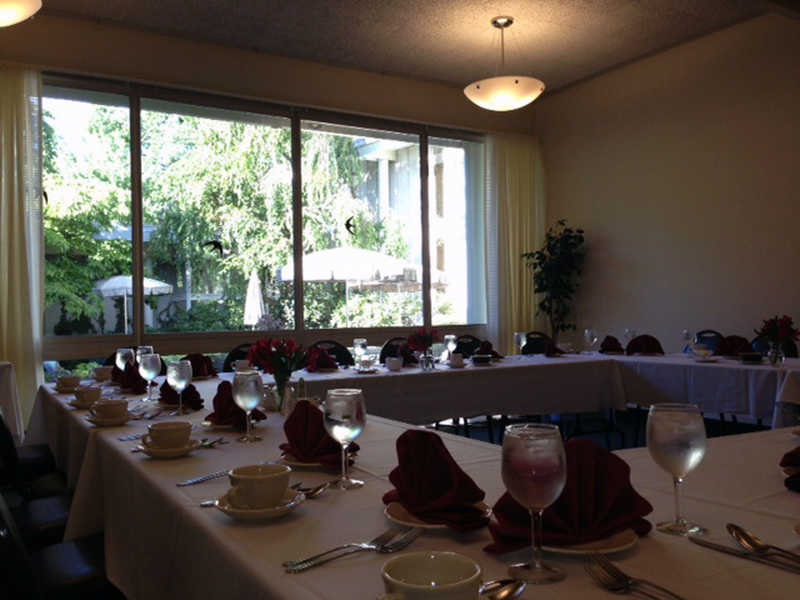 Ideal for banquets and lectures, with tranquil views from floor-to-ceiling windows. Built in sound system, dual screen and LCD projection at both ends of the room for ease of viewing. 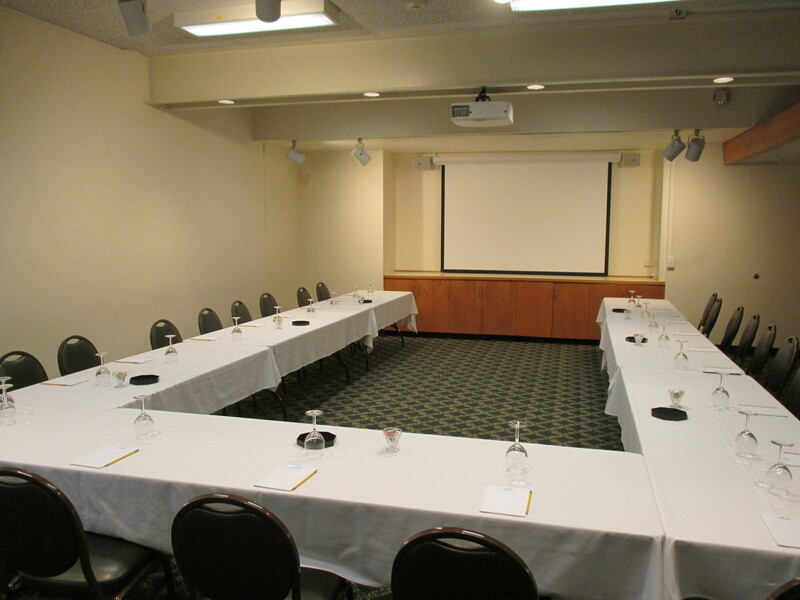 This location can be used as break-out room or for smaller meetings.